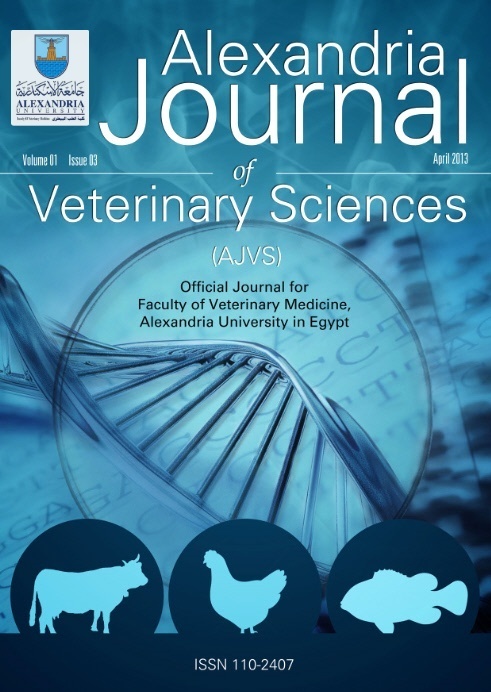 Alexandria Journal of Veterinary Sciences is a quarterly open Access English Journal. The journal is interested in all aspects of veterinary sciences. The journal call for original papers, review articles and short communications and case report that are not published or not being considered for publication elsewhere. Khalil, H.R., Amany M. Diab, Hossam Abdelhamed, Medhat S. Shakweer, Mohamed S. El Gohary, Rashed M.A.